This topic contains 280 replies, has 81 voices, and was last updated by Mike 7 hours, 34 minutes ago. Sigh, right now plastic coverings for the dust from the jackhammer – plumber hopes to pour concrete this week so basement can re reassembled and final cleaning done. Donny a plumber doing concrete, be afraid very afraid. Just had my bathroom and cloakroom re-plumbed, I have all the fine touching, painting and cleaning to do. So I know how you feel. Donny a plumber doing concrete, be afraid very afraid. Just had my bathroom and cloakroom re-plumbed, I have all the fine touching, painting and cleaning to do. So I know how you feel. LOL, fortunately I have seen his work on same basement for other issues and I have high expectations. 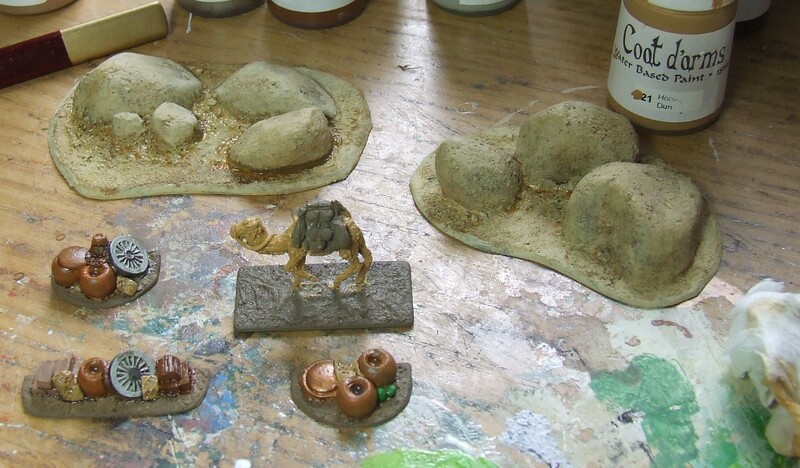 No further work on the skeletons, need a substantial chunk of time to aside for them. Rocky outcrops, a camel and some homewares! I painted some figures I did.. I have had no time to do anything of late, but over a few weeks I forced myself to get do something….anything. 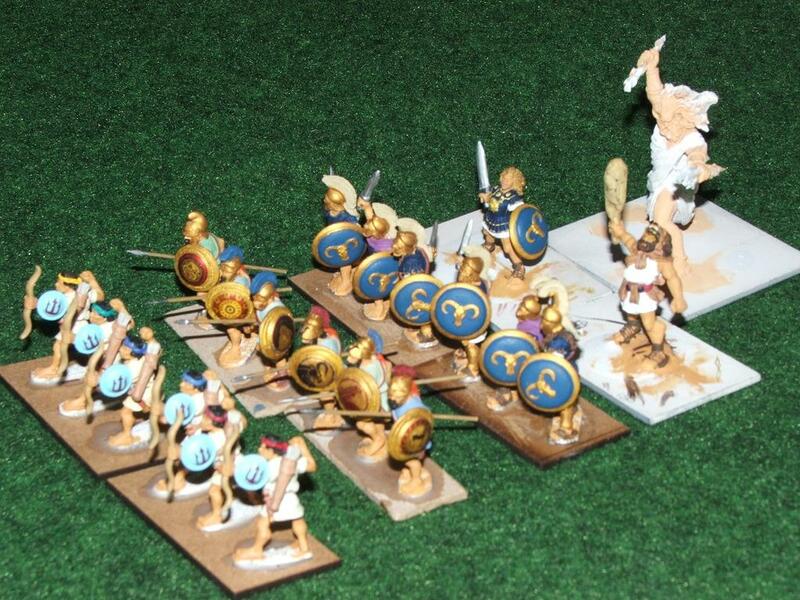 So I found some 1/72 Romans, Templars and Britons and threw some paint on them as I plan to use Song of Blades for some skirmish games. 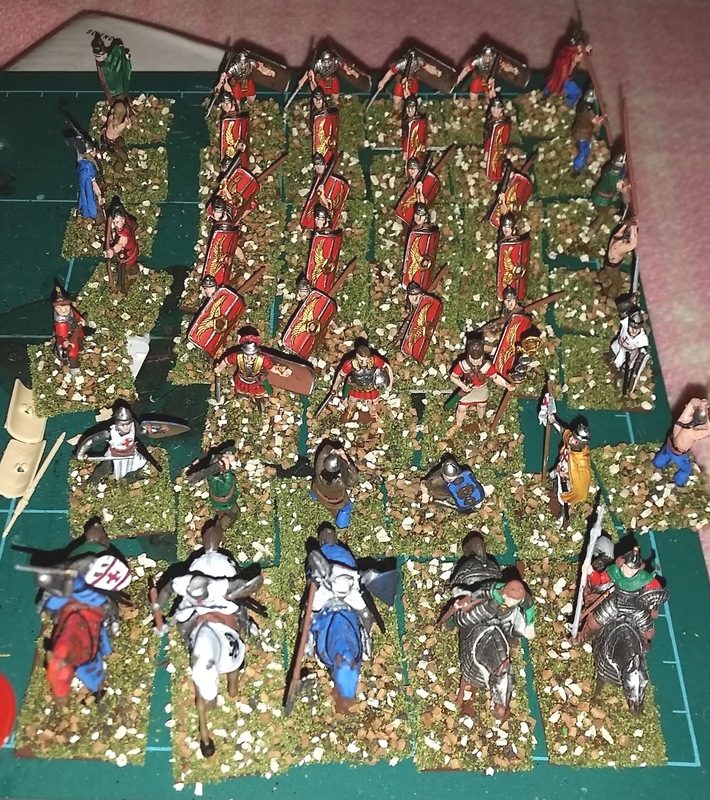 My daughter is doing Roman history at school and the urge to paint some is strong, this is not helping! Is it giving you the hump? 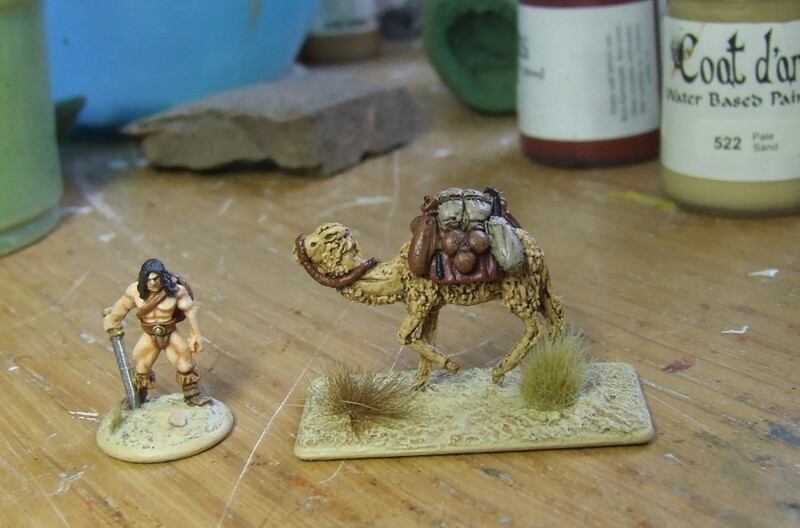 15mm Camel from Irregular Miniatures, 15mm Barbarian from Copplestone Castings. Now my hero has an animal to thump in the face. 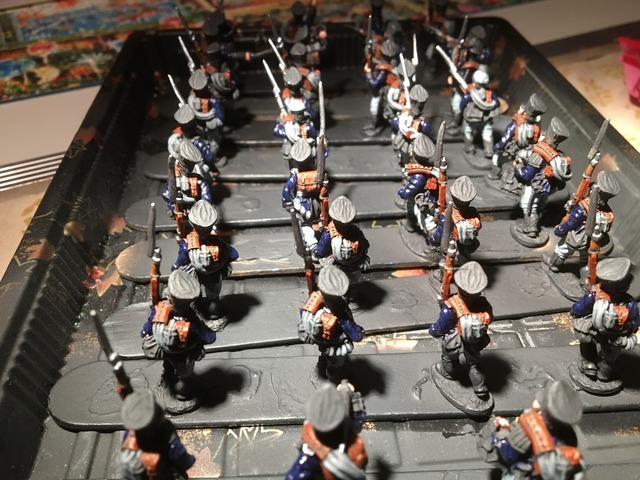 My 15mm Franco-Prussian is very playable (3 Prussian, 2 Bavarian corps and a Baden division on one side and 4 French corps on the other) but I’d like to add the Prussian guard corps and enough regular French line to swap out for Turcos and Zouaves so I can convert the I Corps into the III or VI. 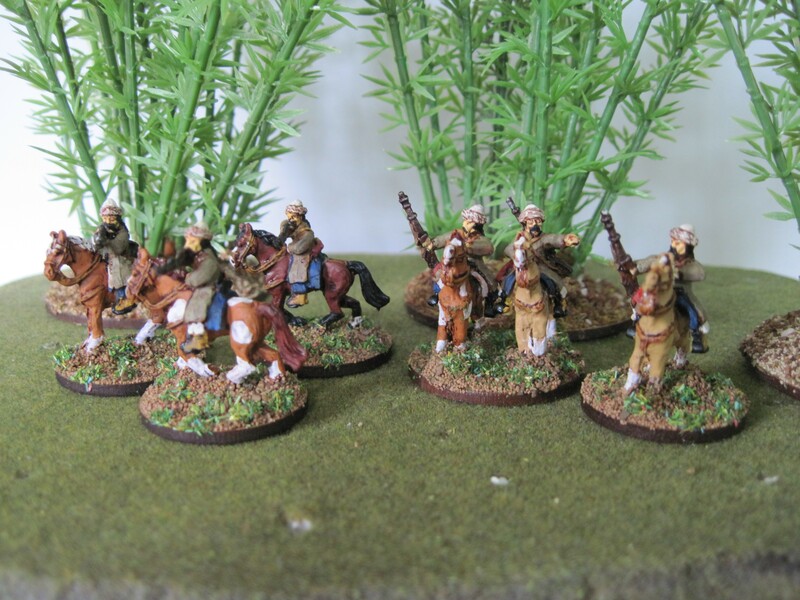 28mm “Major Dundee.” I have the U.S. Cavalry and the French done, need to finish the Apache’s then start on the Mexican villagers, Mexican army, U.S. infantry and some towns people. 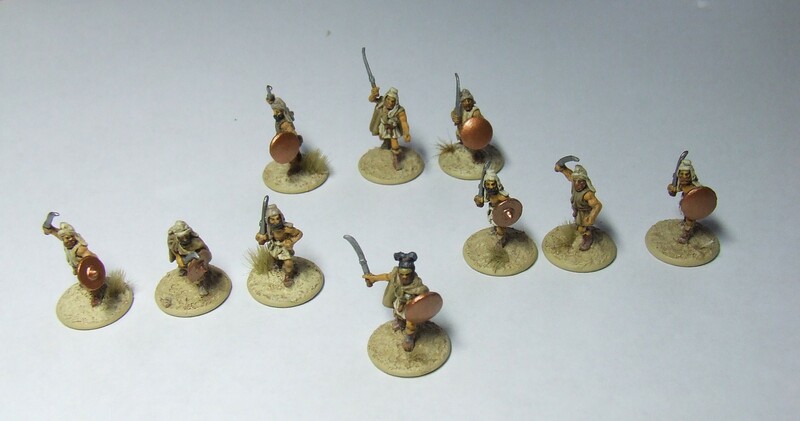 28mm ancient Chinese for FOG. Am maybe 20% done here. 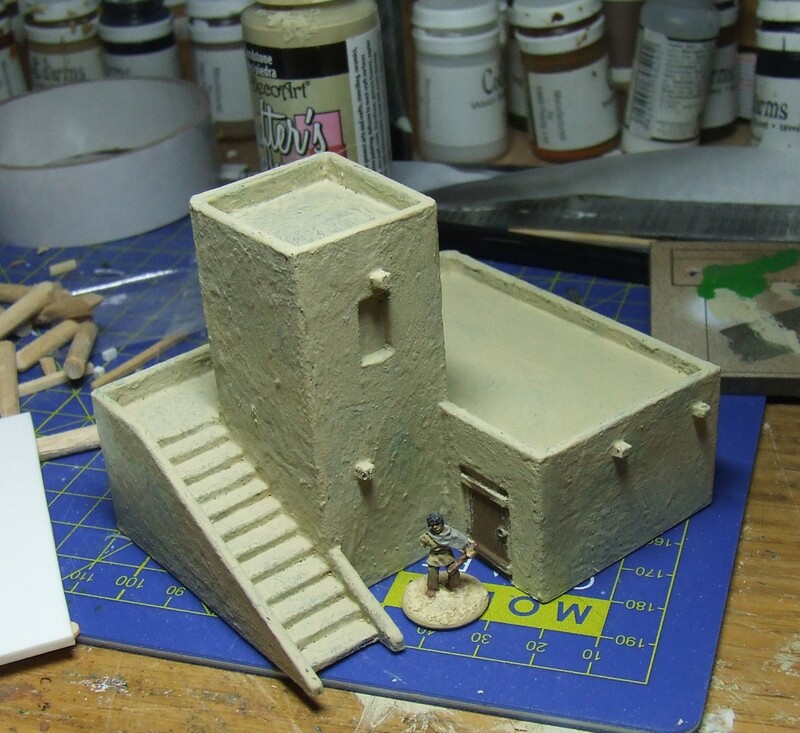 I painted my 20mm U.S. in Afghanistan, now I need to paint the Afghanis. 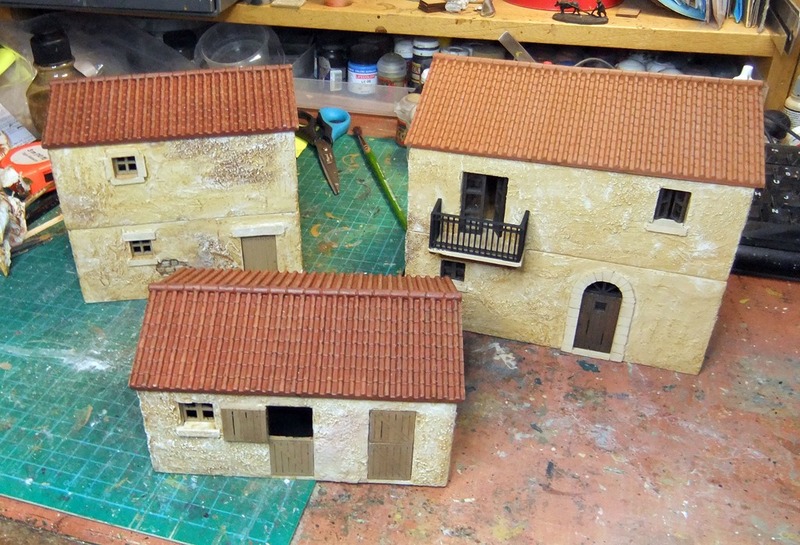 28mm British navy, Pirates, are done, fort garrison is half done as are the townspeople. 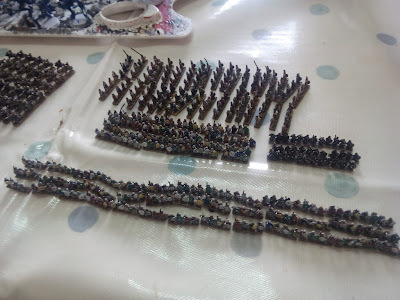 Seven years war in 28mm is already large but I have a few regiments of Prussians I can paint and some more Russian artillery. 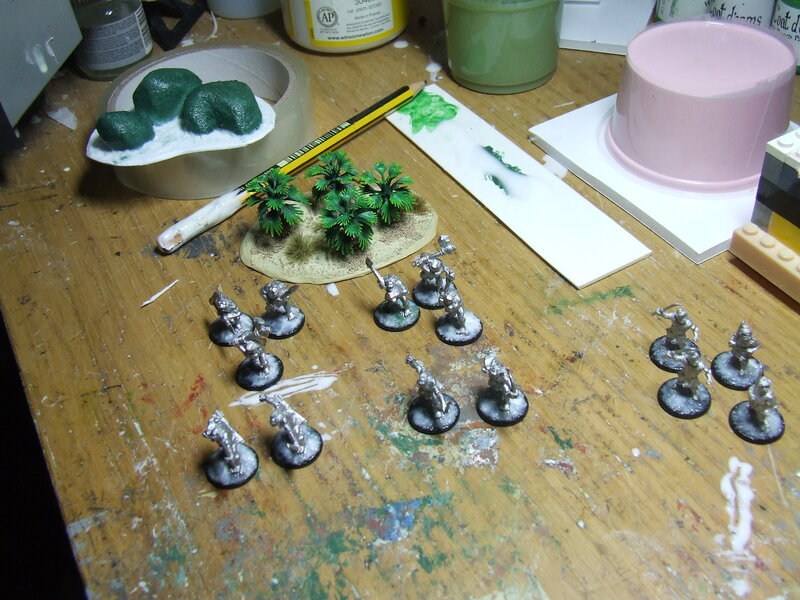 Need to paint the Viet Cong for my 15mm Vietnam pile. Hawk Dropfleet – building Shaltari cruisers and painting basic colours on frigates. Warlords Doctor Who Exterminate – some Cybermen and Daleks trying initial paint schemes. 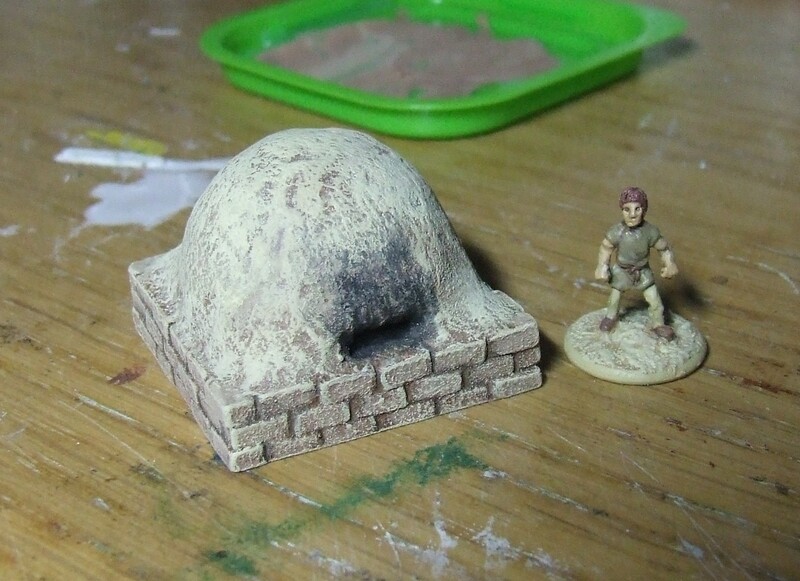 Started a second of my Crom’s Anvil 15mm buildings. Will be adding bits to the roof of this one though. Oh not laughing at you Victoria ,but the joke. 6mm Angel barracks stuff I found when looking for the figures above. 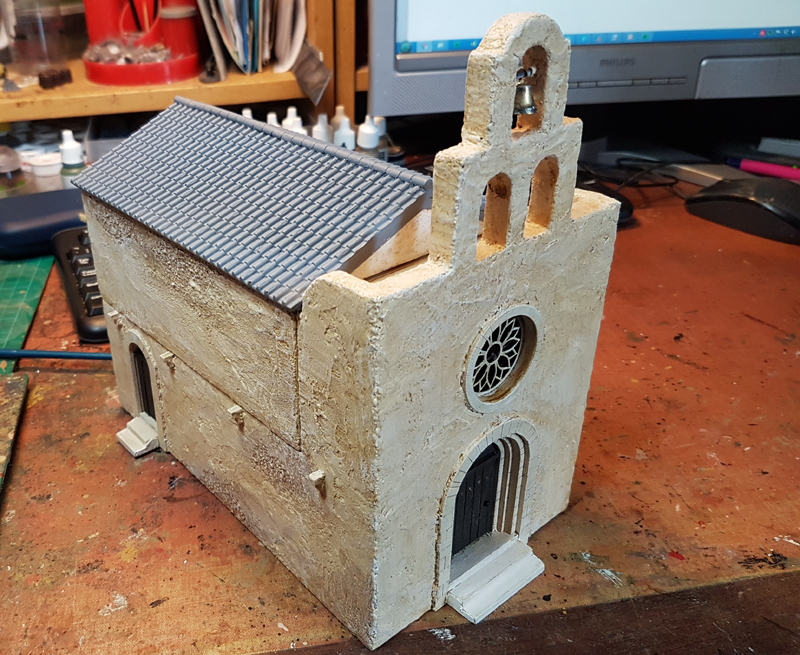 Finishing off the Spanish Church from the Charlie Foxtrot “Pantiles” range. It’s been sitting on my desk for ages while I’ve been looking for the doors that I put somewhere safe about two months ago. Still haven’t found them so I’ve had to start scratchbuilding. ooooh that window is pukka, MDF insert? The front wall of the church is made up of several layers. The window is cut into two of them. It’s very well done indeed and a fine example of what can be done with a laser cutter. I’m a big fan. Here’s some I did earlier. 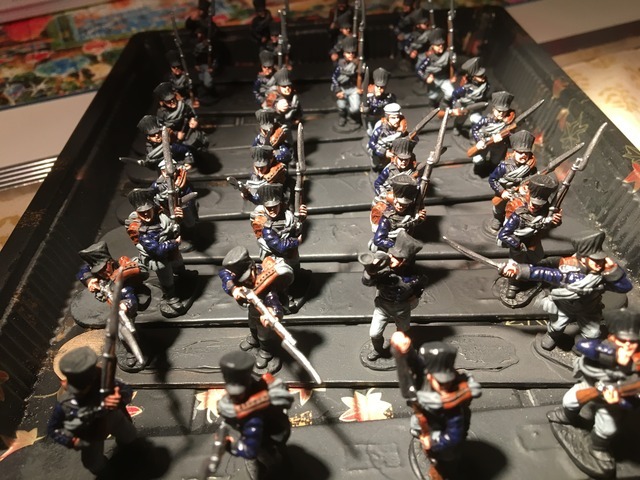 I’m slowly completing Austrians and Prussians for the SYW using Blue Moon and OG 15s. These are the Von Brandenburg regiment. Blue Moon with a Kronoscaf flag. Currently working on some 15mm 2000AD style (not) Judges. After a month or more of half arsed attempts to do stuff, I finally managed to finish the undead. Again just a quick paintjob in order to get them on the table! More Boxer Rebellion stuff for me. 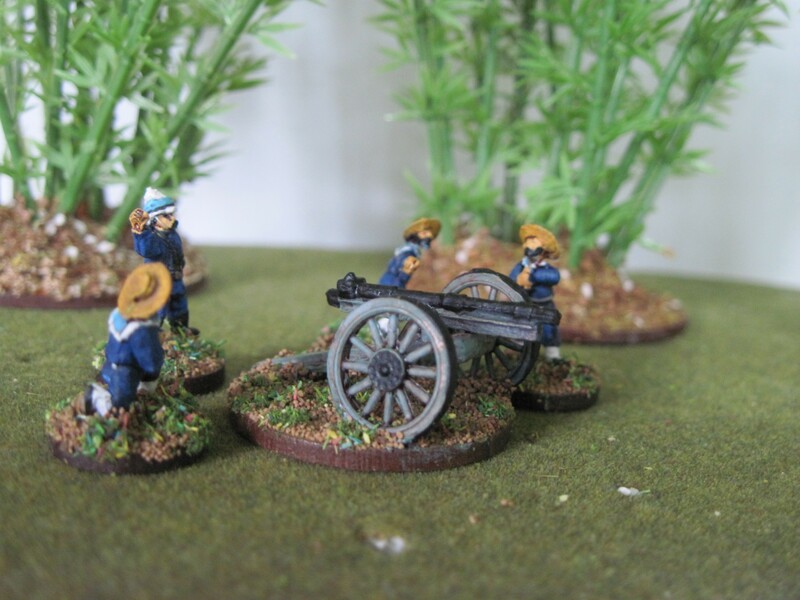 OG 15mm British Sailors. Oh cool. Always thought the Boxer rebellion was the most interesting colonial conflict for the table top. My table is covered with Star Trek ships, GZG space fighters, and bits for my post apocalyptic mesa top apartment (just can’t seem to get the bits done). Hopefully pics this weekend of something. 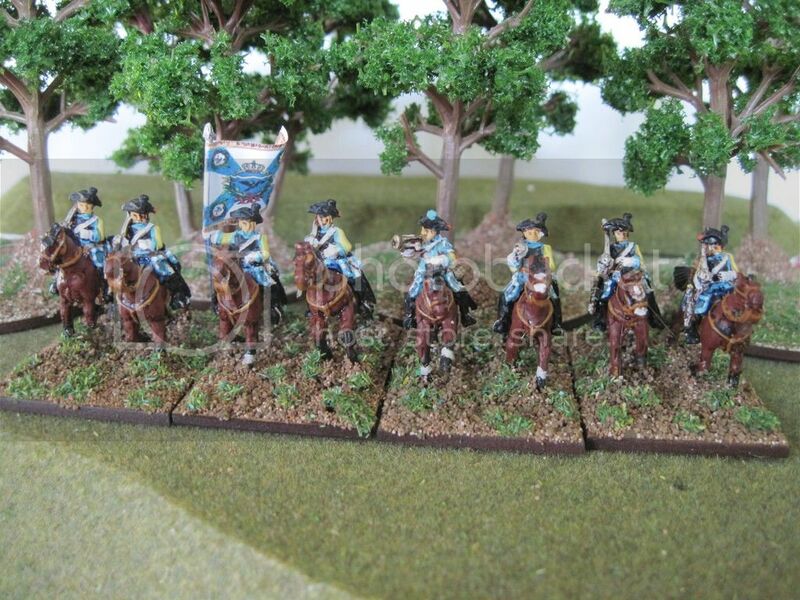 I’ve been painting Calpe Prussians for a couple of years now. Finally on the last three battalions. Total figure count just under 1000. There was a few breaks for other projects such as Vimy Ridge. 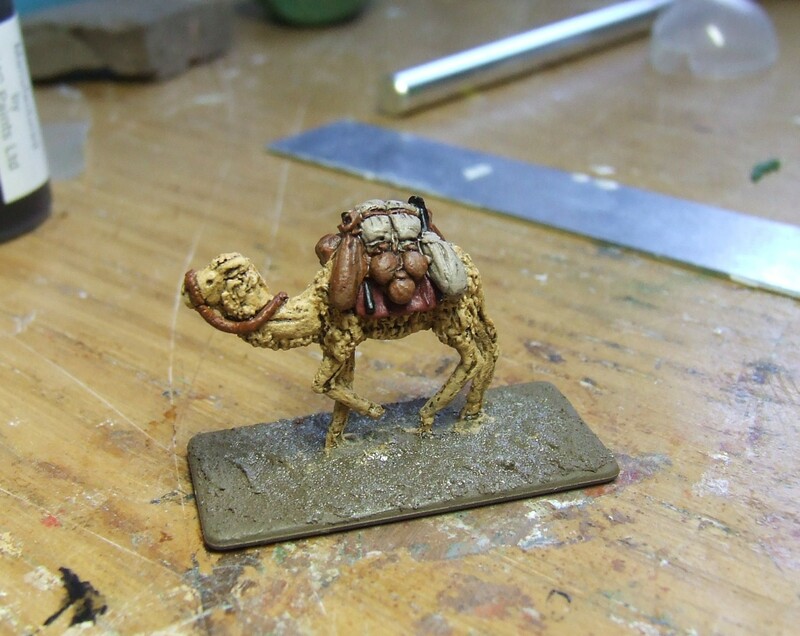 I have those same skeletons along with a mess from Splintered Light and Khurasan all based up individually. I’m completely stuck at painting the bones having tested painted a group a number of different ways with browns, blacks, whites, and various drybrushing and washing schemes. Please tell us how you did yours, as detailed as you can. So, spray undercoated in white not my usual brown. Base coat of Coat d’Arms pale sand #522 all over. Then an ink wash of Coat d’Arms Super Wash dark brown #177 all over. 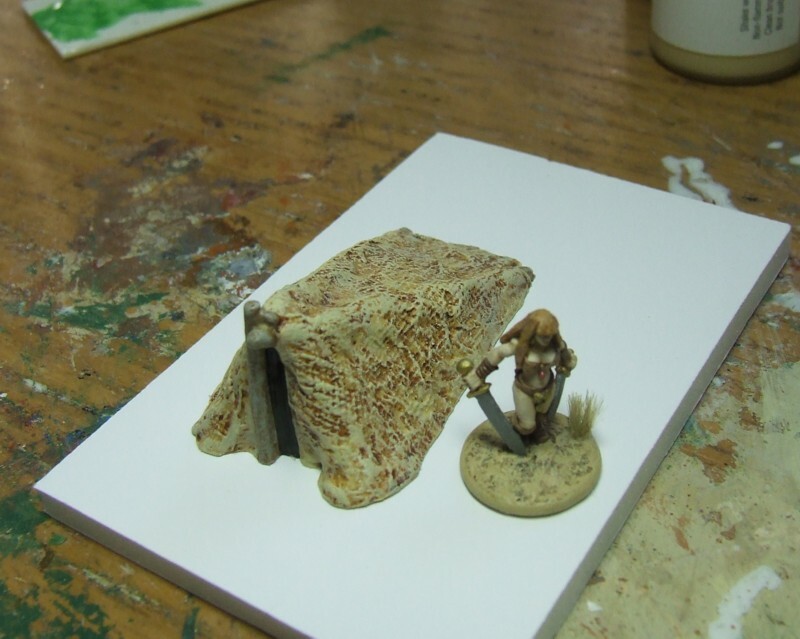 Then drybrush the pale sand all over again as the ink wash settles on the raised areas too. Then a careful inkwash of black in the ribs, eyes, toes and hands. Then a final highlight painted onto the skulls. If they were just bones and there were no weapons and armour I reckon it is a 15 minute job to do 10 or so. Perfect thank you. I messed around with all manner of things. White primer, black primer. Reaper bone triads, GW washes, all kinds of things and couldn’t get the look I wanted. Yours is nice, consider it stolen. Shiny 42mms from Irregular and Spencer Smith, and conversions from someone’s semi-flat homecasts from 1956. This reply was modified 1 year, 9 months ago by Howard Whitehouse. An excellent post Howard, thanks for sharing. 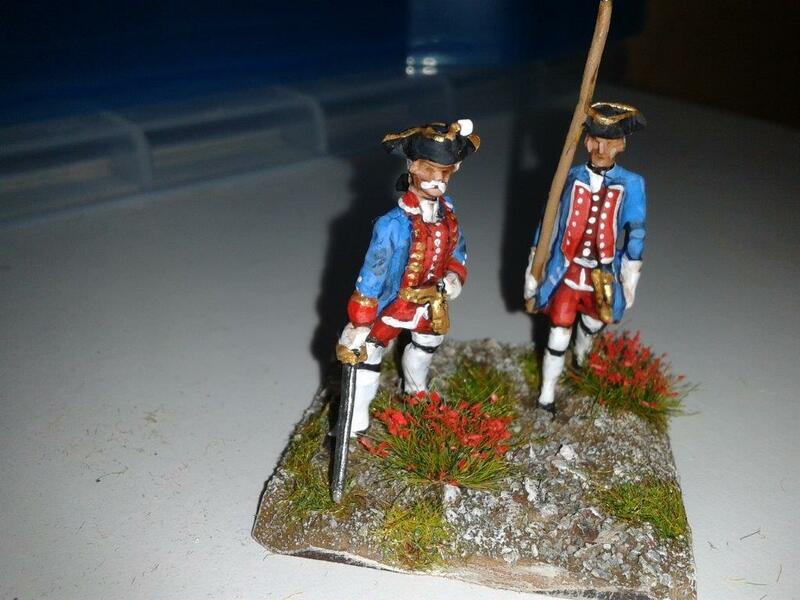 Finished these the other week, Hinchcliffe officer and Tradition under officer of the Erbprinz regiment. 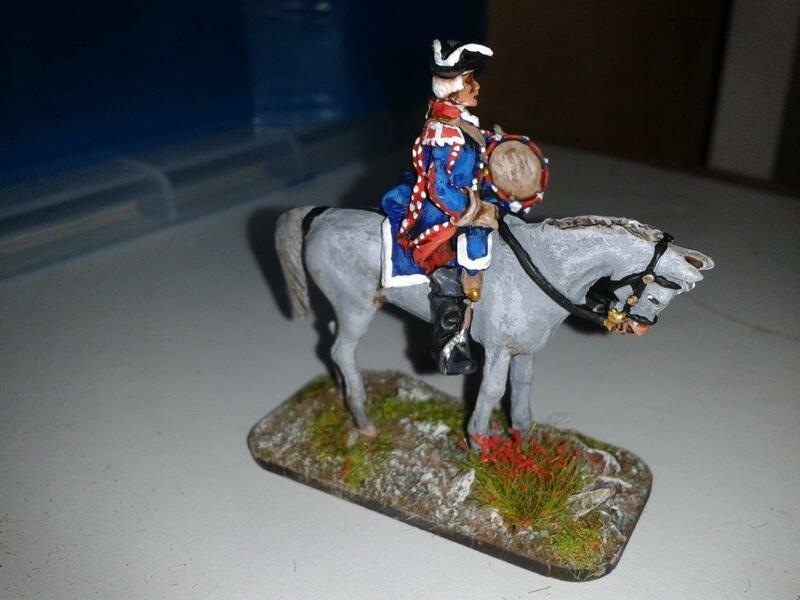 Dragoon drummer, Elite miniature with head swap on a Willie figure horse. 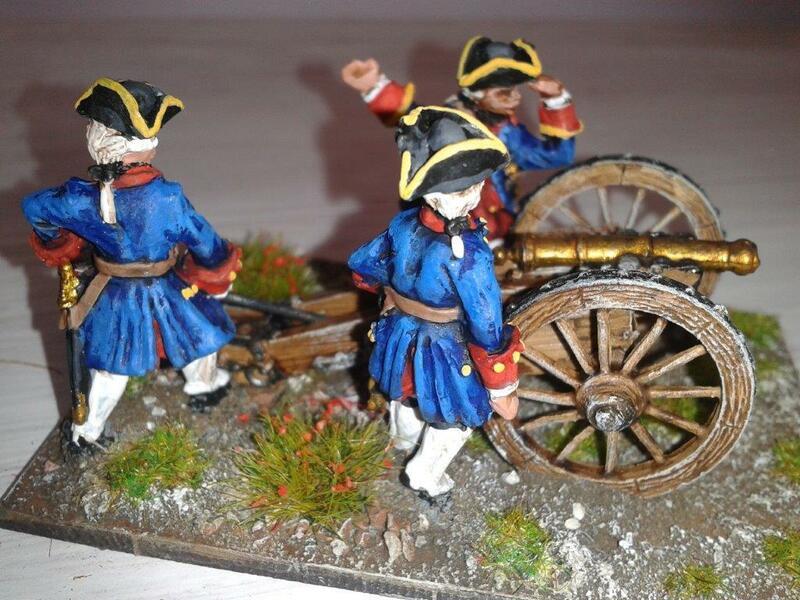 Elite Miniatures French artillery firing captured British cannon.